By clicking the registration button, you confirm that you have familiarised yourself with information about the processing of personal data and accept the terms and conditions. 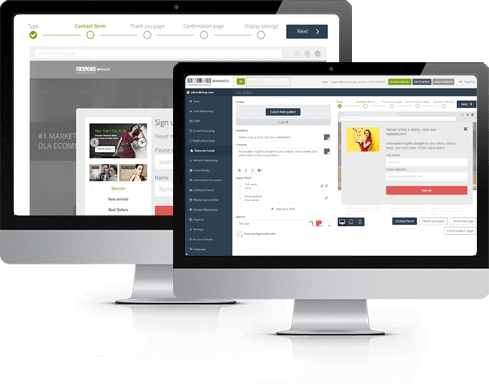 With SALESmanago Marketing Automation system you can turn your website into a channel of communication between you and visitors to your web page, which may now automatically respond to their needs. It is possible to dynamically personalize the content displayed on the web page depending on which user currently visits it. Matching the page content with the user is possible for both anonymous as well as identified users.